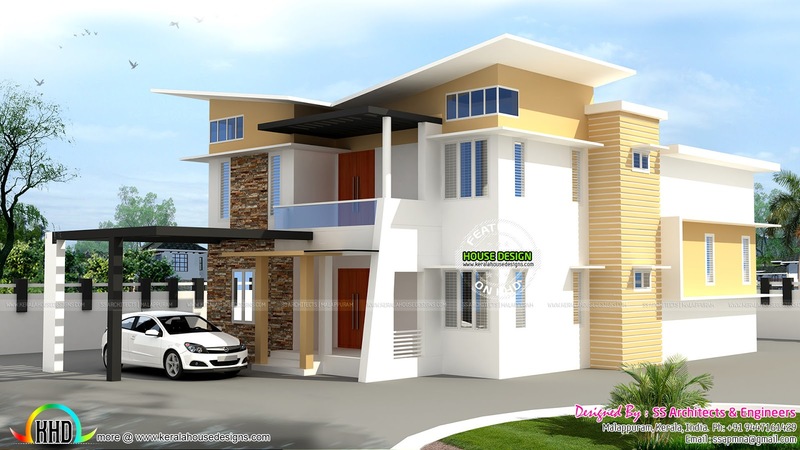 2863 Square feet (266 Square Meter) (318 Square Yards) luxury home in slanting roof modern architecture. Design provided by SS Architects & Engineers, Malappuram, Kerala. Ground floor area : 1856 Sq. Ft.
First floor area : 1007 Sq. Ft.
Total Area : 2863 Sq. Ft.
0 comments on "2863 sq-ft slanting roof modern home"